New to this year’s program is a walk in the old forest in Lynn Canyon Park. 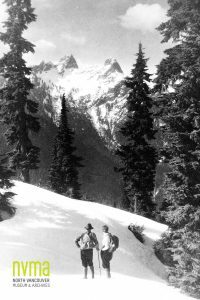 Here mountaineering enthusiasts Max and Molly will entertain with tales of daring adventure and rescue in the early days of North Shore mountaineering. 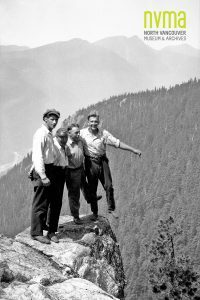 Named after Royal British Engineer and North Vancouver resident John Linn, Lynn Canyon Park has welcomed and wowed visitors for over a hundred years. 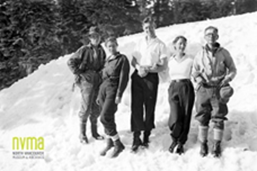 On this walk the audience will be introduced to some of the North Shore’s most adventurous residents – mountaineers, rescue team members, skiers and climbers. 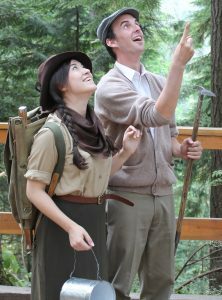 Portraying Sal, Sam, Molly and Max are theatre students Kelsey Ranshaw from the University of British Columbia and Julien Galipeau from Langara Studio 58. 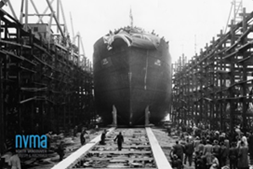 Meet Shipyard Sal and Sam for near the foot of Lonsdale at Victory Ship Way, in The Shipyards. Meet across from the Lynn Canyon Café, Lynn Canyon Park. Funding for this project has been made possible in part through a contribution from the Young Canada Works in Heritage Organizations program, Department of Canadian Heritage. The Canadian Museum Association administers the museum component of the YCW program on behalf of the Department of Canadian Heritage.